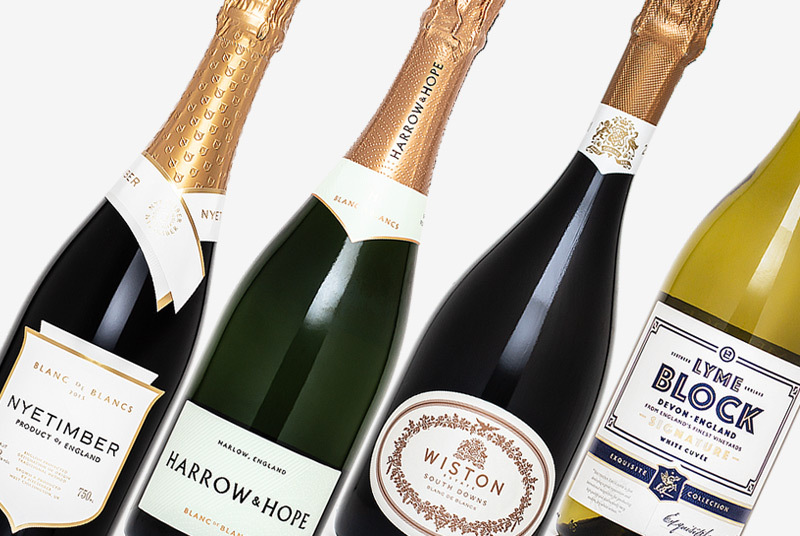 Last week the attention English Sparkling Wine has been receiving stepped up yet another gear. For years there has been talk that Champagne houses were eyeing up plots of English countryside, perhaps even discretely making advances to land-owners, to make their move into English Wine. 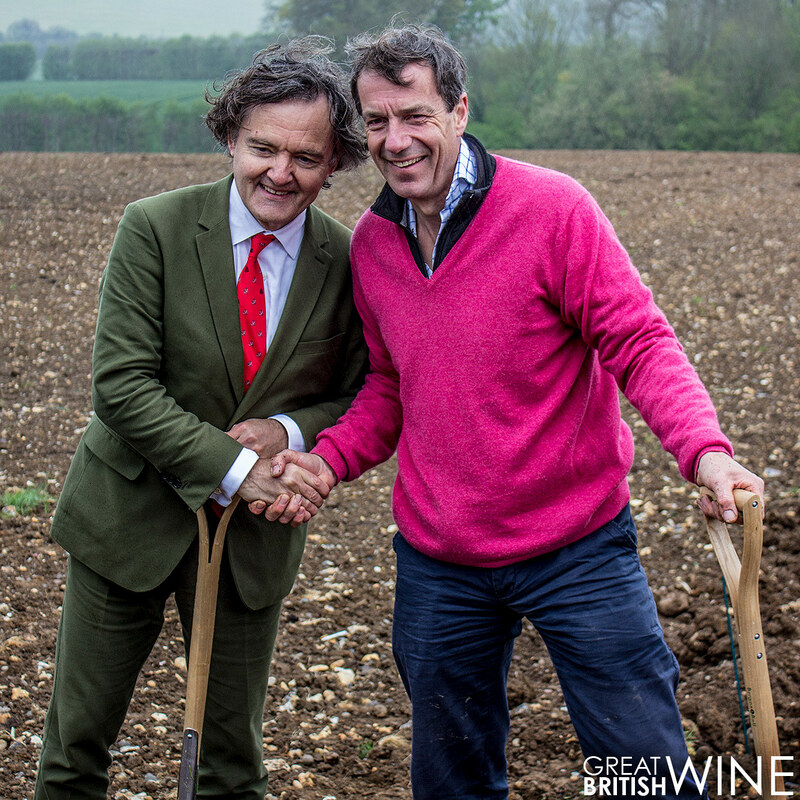 Taittinger was the first to show their hand, announcing in December 2015 the acquisition of a plot of land near Chilham in Kent. 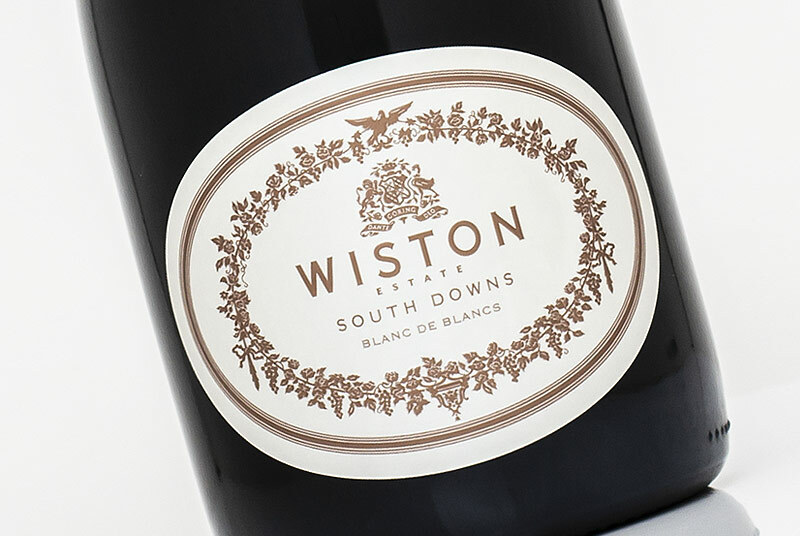 This was after an extensive land search project led by English viticulture maestro Stephen Skelton that considered Sussex and Hampshire before finally deciding on the site in Kent, ‘The Garden of England’. 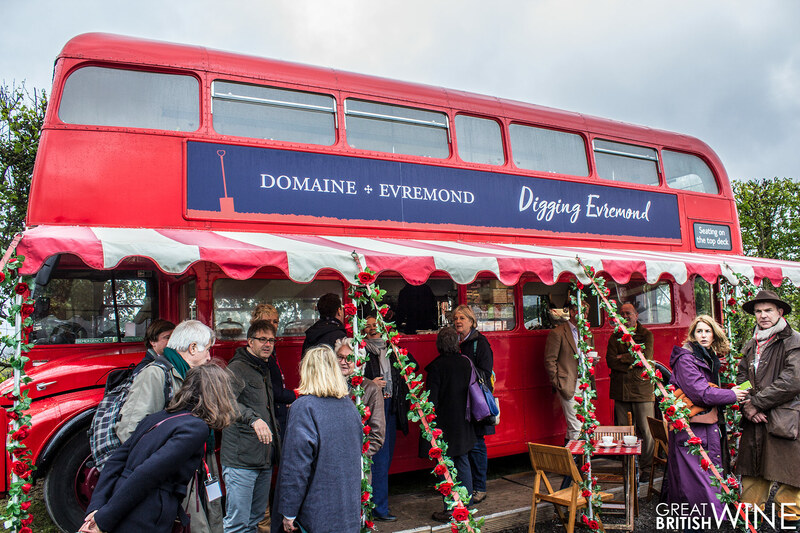 Domaine Evremond is the result of a collaboration between Taittinger, UK agent Hatch Mansfield and its MD Patrick McGrath as well as a group of private investors and friends. 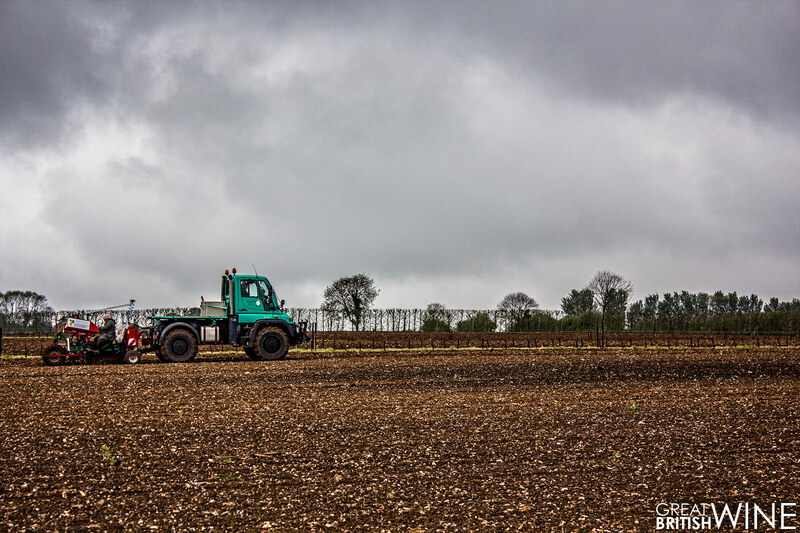 Along with perhaps the largest press group I have ever witnessed at an English wine launch event, I had the privilege to attend a celebration of planting of the first vines at the vineyards last week. After an early start involving a train journey in and out of London and a coach trip with my #ukwinehour collaborator Sorcha Holloway, we all arrived at the rather damp vineyard. The rain clouds and cold, wet atmosphere weren’t going to dampen our spirits as there was a genuine feeling of excitement and goodwill on this historic morning. 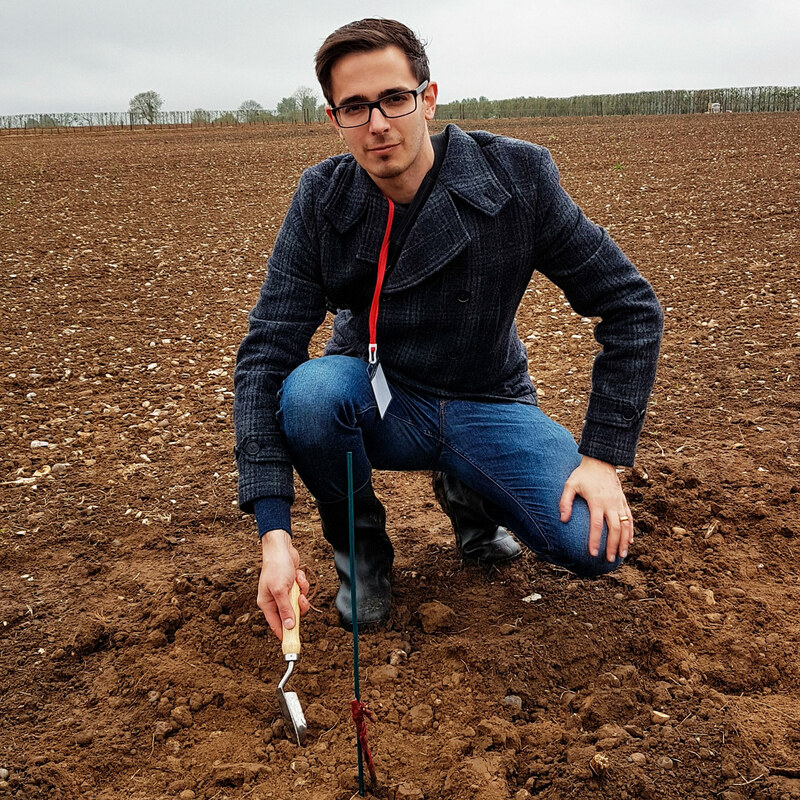 Dressed casually with wellies and wind-swept hair – there was something oh-so grounding that we were about to get our hands dirty helping to plant the first vines. Before the planting, we had the chance to sample the collective delights of some of Kent’s finest (and newest) wines. Attending the event were Biddenden, Chapel Down, Gusbourne, Herbert Hall, Hush Heath, The Simpons Estate, Squerryes, The Mount, Westwell and Woodchurch. It was great to see both the established Kent producers, as well as some of the newer names, all present to embrace the arrival of Evremond. You can see my choice of five particularly impressive wines from the tasting at the end of this article. With the rainclouds looming, we are ushered away from the wines and the protection of the marquee into an expansive field for opening speeches from Patrick McGrath, Stephen Skelton and Pierre-Emanuel Taittinger, President of Champagne Taittinger. 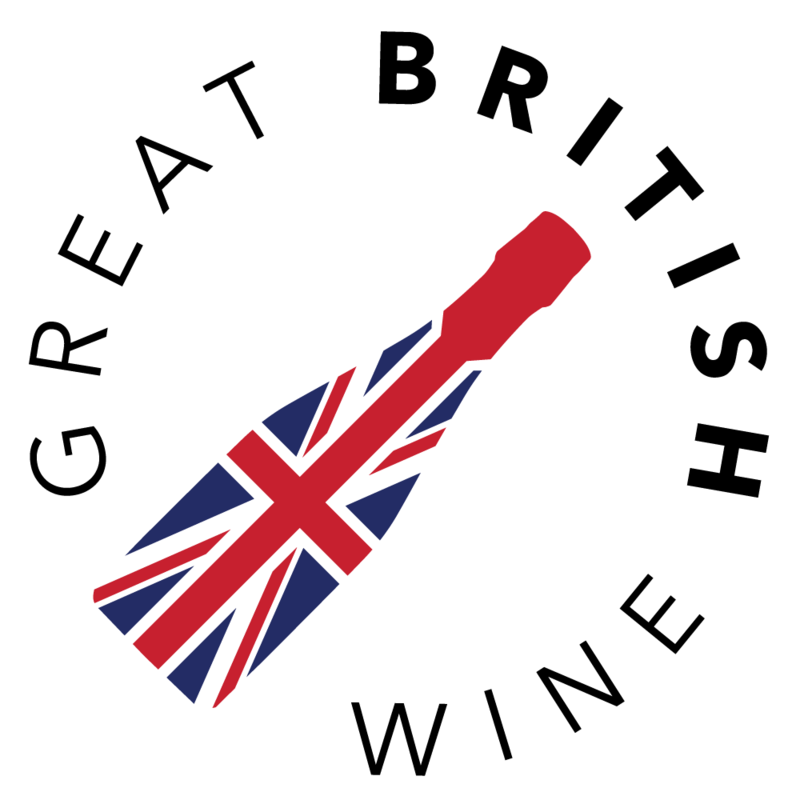 Patrick opened the proceedings by saying we were all here to celebrate “a great friendship between England and France” as well as the rising English Wine industry. 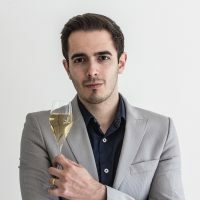 Patrick explained how he had talked to Pierre-Emanuel about the potential of English Sparkling wine and wanting to collaborate further in England. The foundations of the partnership were quickly formulated three years ago. 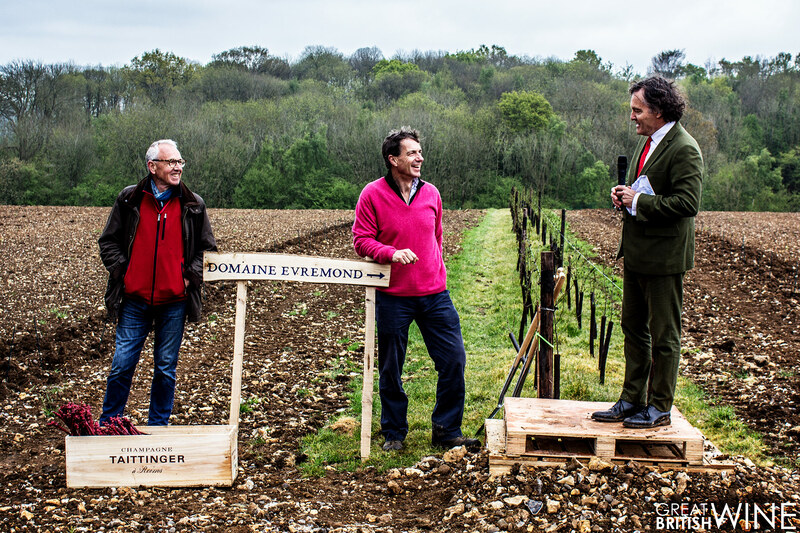 The speeches and the ceremonial planting of the first vines by Pierre-Emanuel, Patrick and Stephen were followed by the unique opportunity for us to become a small part of history by planting our own vine. The colour-coding on our lanyards (appropriately red, white and blue) became clear, as we were split into groups to plant Chardonnay, Pinot Noir and Pinot Meunier vines. After being handed an engraved commemorative trowel and a single Pinot Noir vine, we are invited to dig and plant our vines into the well-prepared earth. It was a wonderful touch, but the huge GPS controlled machine powered by Volker Scheu in the distance put things into perspective. The plan is to plant an impressive 40 hectares in the next few years, with the first 20 hectares being planted during the week of our visit. Despite being dwarfed by the scale, the manual planting was an opportunity to make the press and other producers attending feel part of the whole experience. Indeed it did; I was planting next to James McLean, Chapel Down Brand Ambassador, as we demonstrated our best horticultural abilities and exchanged photos to commemorate the moment. Long term there are plans for a visitor centre and winery on site, however initially the wines will be made under contract, presumably in Kent, for the foreseeable future. The aim is to harvest first vintage in 2019 subject to the ever-unpredictable English climate, before the wines spend a minimum of three years on the lees. It is expected that the first wines will be released in 2023-2024 with a Chardonnay-led blend to reflect Taittinger’s own house style. During a Q&A session I had the opportunity to ask Pierre-Emanuel how the approach to winemaking will differ from that in Champagne. Whilst it’s too early to say exactly what expression of sparkling wine Evremond will deliver, their aim is to produce a sole that demonstrates the Kentish terroir, whilst building on the immense 80 years of experience that the Taittinger family have acquired in Champagne. The day soon ended, ushered along by plentiful conversation amongst the group and lashings of both English Sparkling Wine and the rather remarkable Taittinger Comtes de Champagne 2006. 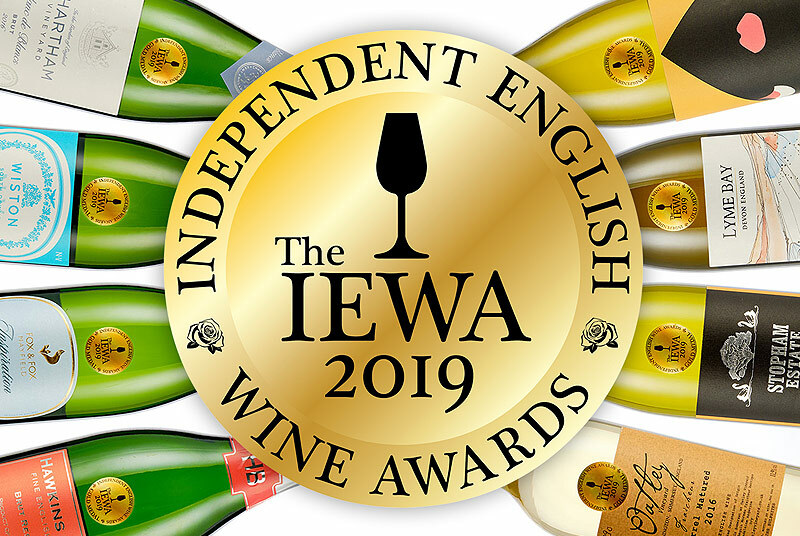 I left the event feeling proud both to have been part of the event, but also of the way in which the English Wine industry welcomed Evremond to the party. The fact that Taittinger is now here in England is a huge testament to the wonderful progress that the industry has made. Now a single vineyard release, Chapel Down’s Blanc de Blancs never fails to impress, this was the wine I headed straight for when we arrived at the tasting tent. 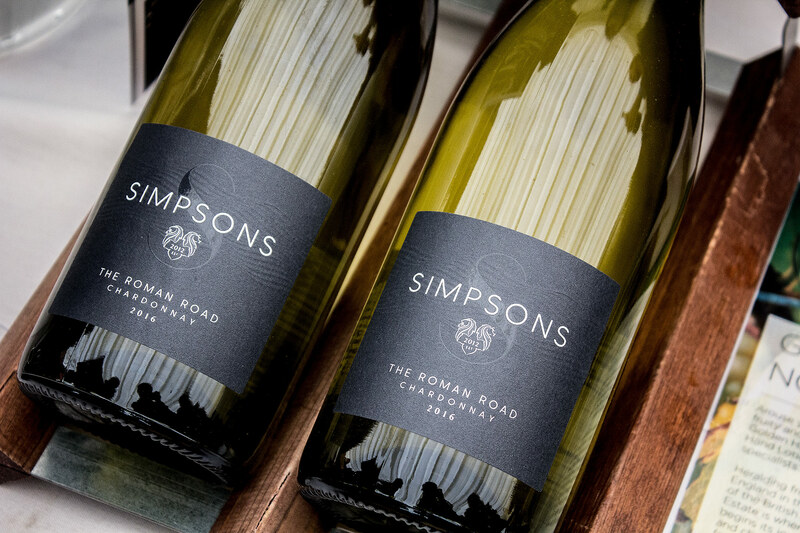 Rich orchard fruit flavours, decadently creamy texture and that wonderful English acidity make this a sublimely poised English Sparkling. This Pinot Noir-led blend is another demonstration of the exceptional balance that Charlie Holland achieves with Gusbourne. The Pinot brings a brilliant depth to the wine; offsetting the striking fresh acidity with deep rich flavours of stone fruit and red berry motifs. Gorgeous mouth coating textures and delicate spiced pastry notes. A wonderful contrast to the richer, heavier style of the Kit’s Coty and Gusbourne, Nick Hall’s wonderful Rosé is packed full of subtle, elegant charm. 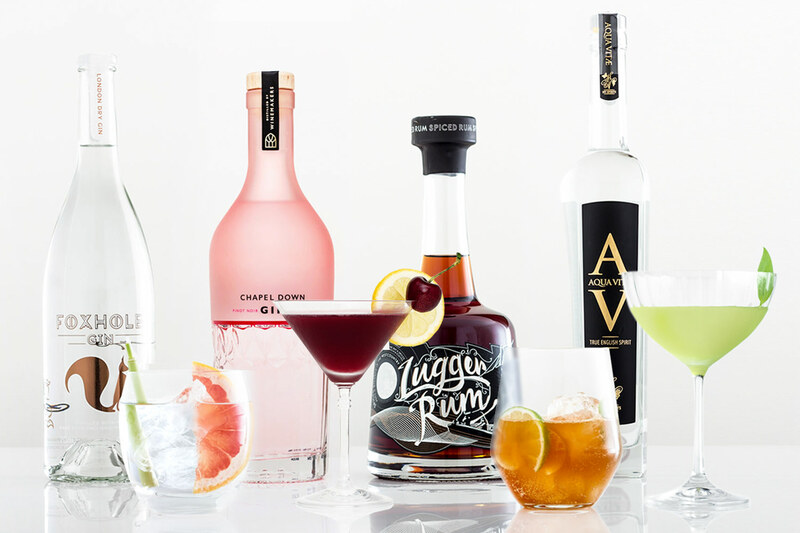 The palate is delicate with crisp crunchy red apple and citrus bite, lovely and mineral with the soft hint of warm red fruit. Wonderful length, where the red fruit raspberry and strawberry really open up. With over four years spent on its lees, Squerryes was harvested in a vintage that suffered lower grape yields but intense ripeness and focussed flavour. The resulting golden wine is open and rich on the nose with warm fruit and brioche aromas. To taste, superbly rounded and juicy with a decadent texture. Baked apple and apricot with zesty lemon and hints of sweet nutty pastry. Superb!